Stewart Garden Premium Gravel Tray 38cm - Black - provides a multi-purpose garden and greenhouse tray, suited for providing plant pots good drainage. Strong durable black injection moulded plastic which is strong and hard wearing, robust for outdoor or indoor use. Designed to retain gravel, the premium gravel tray will keep indoor plants in a moist environment without risk water-logging. 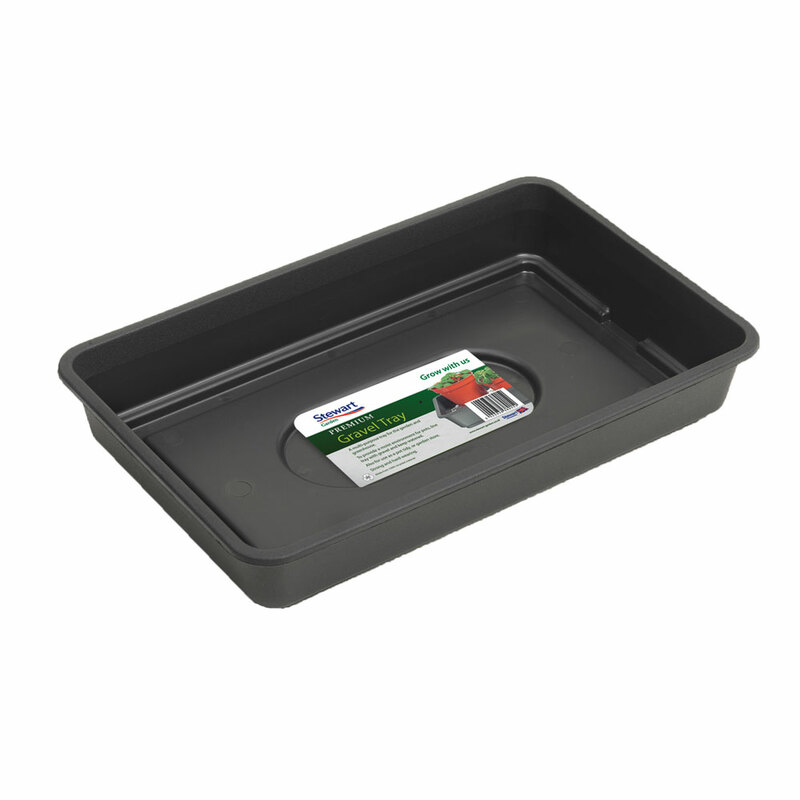 Tray retains water level of 6cm depth.